Below you’ll find a list of our most frequently asked questions (FAQs). How many viewers does CTV have? What channels can I see CTV on? What are the hours at CTV? How do I get a show on CTV? How long can I reserve portable equipment for? Can someone come to my event and record it? How can I get on your calendar? When will you re-air government meetings? Why isn’t the School Board Meeting on? Can I come in to watch a segment of a government meeting? No. PBS is a NATIONAL nonprofit BROADCAST network. CTV is a LOCAL nonprofit CABLECAST station providing gavel-to-gavel coverage of LOCAL government meetings and presenting programs produced by LOCAL residents. For more information or questions about PBS, call (865) 595-0220. No. Comcast is one of several cable service providers in Knoxville. CTV is a LOCAL nonprofit CABLECAST station providing gavel-to-gavel coverage of LOCAL government meetings and presenting programs produced by LOCAL residents. If you are having an issue or question related to your Comcast service, call (603) 290-5093. This is the number for Comcast/Xfinity at 5720 Asheville Hwy, Knoxville, TN 37924. CTV is available on Xfinity (Comcast) Channel 12, Charter Channel 193, WOW! (Knology) Channel 6, and AT&T U-verse Channel 99. Regular Office Hours at CTV are from 9 am – 5 pm Mon – Fri. Studio and Edit facilities may be used 10 am – 8 pm Mon – Fri if a reservation has been made, except the first Friday of each month when CTV closes at 5 pm. Producers wishing to use studio or edit facilities at CTV must plan to finish their work promptly before the facility closes. If you are a resident of Knox County, you are eligible. The first step is to thoroughly review the topics under the ABOUT CTV tab at our web site [www.ctvKnox.org]. Once you have become familiar with our policies you may sign a Producer Agreement form, pay your $20 annual access fee, and begin! If you already have recorded programs you may submit them immediately. If you would like to receive training to be able to use our equipment (studio, portable cameras, editing) you may set an appointment for a training workshop at no extra cost. CTV schedules training workshops on a case-by-case basis at the convenience of individual community residents or small groups wishing to receive production training (studio, portable cameras, editing). Typically, workshops consist of two or three 3-hour sessions scheduled in the early afternoon (after 1 pm) or evening (concluding before 8 pm). Training workshops are offered for free as long as a current access fee ($20) has been paid. Typically producers plan to have all their work done in one to two days. We encourage planning on having our equipment for no more than three days, so that all producers have an equal opportunity to use our equipment. CTV is a LOCAL nonprofit CABLECAST station providing gavel-to-gavel coverage of LOCAL government meetings and presenting programs produced by LOCAL residents. We train community residents to use our production equipment to record their own events. CTV hosts an electronic graphics based Community Events Calendar for local nonprofit organizations to promote upcoming events. The calendar airs on our channel between regularly scheduled programs and at other convenient times throughout the day and night, (approximately 6–8 hours each day) to reach the widest audience possible. Our online searchable version allows viewers to browse event announcements at any time. Please remember, the fundamental purpose of our event calendar is to promote date-specific events – events that will occur on a certain date(s). It is not intended to merely provide a description of services provided and hours of operation. 1. Official Proof of the posting organization’s Nonprofit Status. The preferred form of proof is a copy of a federal 501(c)(3) nonprofit determination letter issued by the IRS. Another acceptable document is an official letter of determination issued by the Tennessee Department of Revenue. 2. Payment of the $30 annual Calendar Access Fee, allowing the organization to post up to 4 different announcements per month during the 12-month period following payment. Note: The fee is the same whether the organization chooses to promote just one event, or it chooses to take advantage of its full potential. 3. A valid contact email for use with a user account on our site. Once a calendar account has been activated, our Online Calendar Event Form can be accessed at our web site. The form requires only 6 pieces of vital information: Organization Name, Message Title, Message Text, Date/Time, Contact Number, and a Background Image. Beer Board Meetings (live) are aired Tue @ 6 pm and re-aired Sun @ 11 pm, Tue @6 pm, Wed @ 5 am, & Fri @ 11 am. BZA Meetings (live) are aired Wed @ 1:30 pm and re- aired Wed @ 1:30 pm. City Council Meetings (live) are aired Tue @ 7 pm and re-aired Mon @ midnight, Tue @ 7 pm, Wed @ 6 am, & Fri @ noon. CODI Meetings (recorded) are aired on Sun @ 9 pm. County Commission Meetings (live) are aired Mon @ 1 pm and re-aired Mon @ 1 pm, Thu @ 11 pm, & Fri @ midnight. County Commission Workshops (live) are aired Mon @ 2 pm and re-aired Mon @ 2 pm. Ethics Committee Meetings (live) are aired Wed @ 8:30 am and re-aired Wed @ 8:30 am. Historic Zoning Meetings (live) are aired Thu @ 8:30 am and re-aired Thu @ 8:30 am. KCDC Meetings (recorded) meetings are aired Mon @ 9:30 pm. KTA Meetings (live) are aired Thu @ 3 pm and re-aired Thu @ 3 pm. MPC Meetings (live) are aired Thu @ 2 pm and re-aired Thu @ 2 pm. Orders of Protection (recorded) is aired on Sun @ 10 pm and Wed @ 12:30 pm. TPO Meetings (recorded) are aired on Mon @ 7 am and re-aired Mon @ 7 am. CTV provides the equipment for Knox County Schools to cover their own School Board Meetings which can be seen on Comcast Channel 10. For more information about School Board Meetings call Knox County Schools (865) 594-1800. Yes. For the convenience of our viewers we upload archive copies of many of the government meetings we cover. 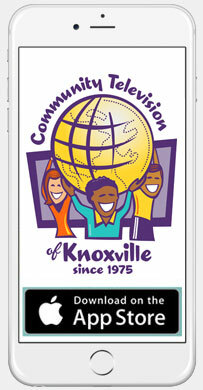 Some are uploaded to our web site [www.ctvKnox.org]. They can be accessed in the WEB STREAM section at our front page. Archive copies of other meetings are uploaded to Vimeo or Youtube. If you want to come to CTV to review an archived copy on a CD, you may do so by calling ahead to reserve time. Archive copies of some meetings are maintained by the government organizations themselves.